At Mamatu we believe that every mom, whatever the situation, may look fashionable and feel comfortable. Therefore, by designing our clothes, we combine the hottest colors and patterns with a comfortable pattern. That's how we came up with the turquoise zipper sweatshirt. The Mamatu breastfeeding sweatshirt in light gray is complemented by turquoise elements. An additional accent emphasizing the unique character of this model is the hood made of fabric in a blue and red checkered. 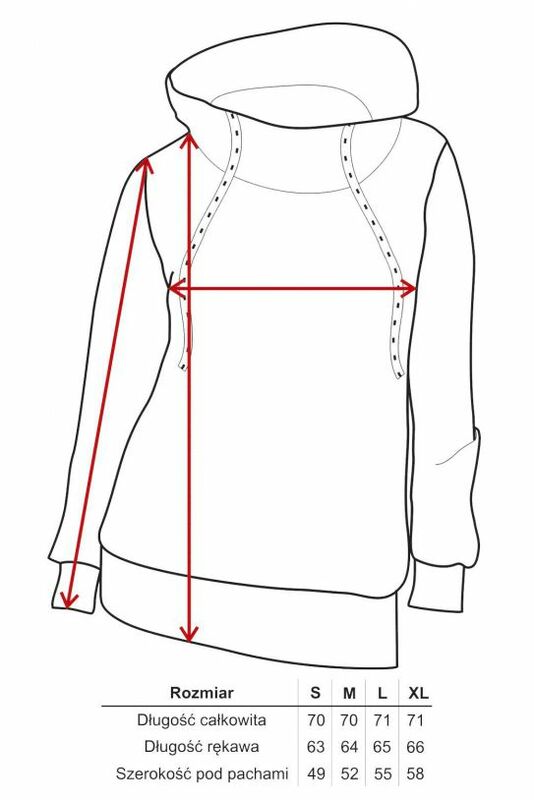 Simple pattern provides comfort while breastfeeding, but also allows you to wear the sweatshirts also after the end of lactation. In our breastfeeding clothes we use clever solutions that make it easy to latch your baby to the breast. Sweatshirts have zippers at the bottom. This is not just a decoration - you can quickly unzip them and latch the baby. Thanks to the fact that you do not have to reveal the entire breast and remove the sweatshirt you can feed the baby without being embarrassed even in a public place or on a walk in the park. trendy colors - we use the most fashionable colors in our designs. In this model, it is a light gray melange with a clear turquoise shade.